Pancake day has been highlighted on my calendar for a few weeks now and I have to say I have been looking forward to pancake day for weeks. This year is the first year that Maxwell seems to have wanted to get involved and I was looking forward to him getting creative in the kitchen. This year Abra-ca-Debora kindly sent us some of their ready-made pancakes to get creative with. Included in the box that we were sent were original dutch, sweet dutch and ‘diddy’ dutch pancakes. 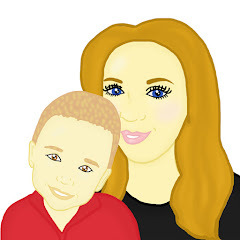 I knew instantly that Maxwell would love to get creative with the pancakes so we popped to our local supermarket to get some ingredients to add to the top of the pancakes. Maxwell went for the sweet option whilst I went for the chocolate and fruit option. We set about warming the pancakes through and prepared for lots of fun! To prepare the pancakes all you simply need to do is stick them in the oven, pan fry them or pop them in the microwave. Each of these options are simple to do and your pancake will only take several minutes to cook. Once the pancakes were cooked and Mummy had enjoyed giving them a little flip, the pancakes were ready to be decorated. Whilst Maxwell enjoyed piling on the sweets to his pancake, I thought it would be a nice touch to make Maxwell a special pancake using cutters. 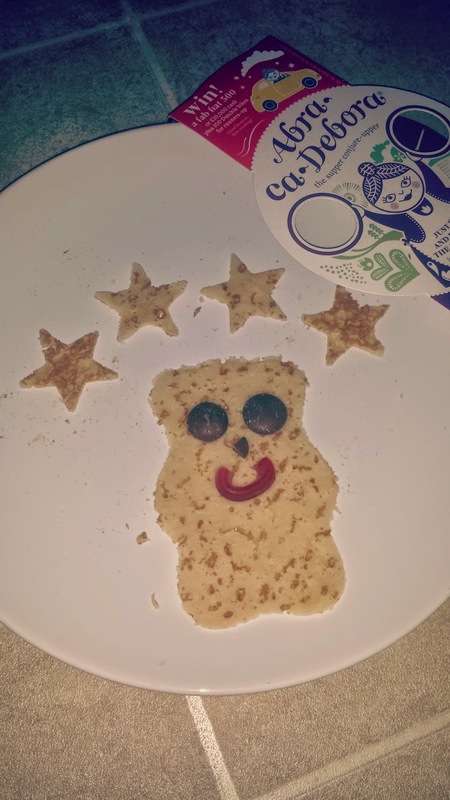 I created a bear cut out with stars above his head and as you are able to see, the pancakes cut well. 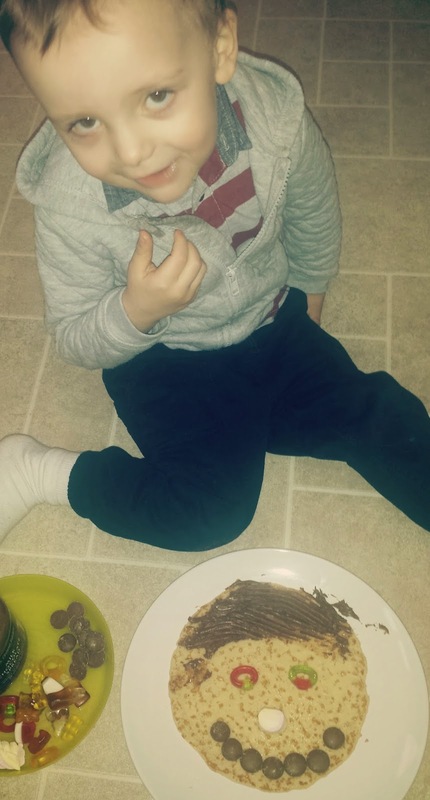 After creating some fun creations in the kitchen for pancake day we decided that we would enjoy some more pancakes for breakfast in a few days time and we would especially love to dunk the diddy dutch pancakes in some chocolate sauce. If you are interested in purchasing Abra-ca-Debora's pancakes they cost £2 a packet for the original and sweet pancakes and £1.49 for the diddy ones which I think is a great price for good quality, ready made, tasty pancakes. Have you enjoyed pancake day? What creations did you make? However I did receive pancakes for the purpose of this review. Everything written in this post is my own, honest opinion. I love the teddy bear pancakes! Those pancakes look yummy. We just had lemon and sugar on ours. Those look so good. I feel like eating them now.